“Rare and highly sought after Eko K2 analogue synth bass pedals in excellent condition and perfect working order. 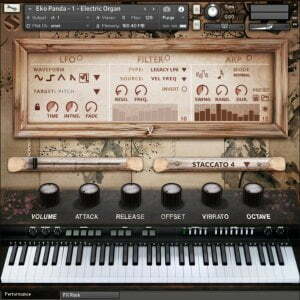 The post Soundiron launches Eko Panda 70s synth instrument for Kontakt appeared first on rekkerd.org. Published on Dec 25, 2018 Italian Vintage Stuff! “Very first model ARP String Ensemble VS the rare EKO Stradivarius. Only one other featured here back in 2013. “Ultra rare EKO COMPUTERHYTHM drum Machine, produced in very few exemplars, about 15 or 20 ever made. Pics of the inside below. Rare String Synthesizers: Eko, Godwin, Freeman. “This EKO NEW RHYTHM BOX is modded with trigger inputs for every single instrument making it a perfect target for external sequencing.